Date 17.08.2016 If you are moving to Australia, there are a number of services you’ll need to make the move happen. You’ll need to set up your bank account, private health insurance, removals, currency exchange and even find your accommodation. This article includes a number of our partners who can assist you prior to departure. At the Down Under Centre, we can assist you with getting all your essentials sorted. You can visit our centre in Ealing, London, or feel free to email us and we can introduce you to our partners. 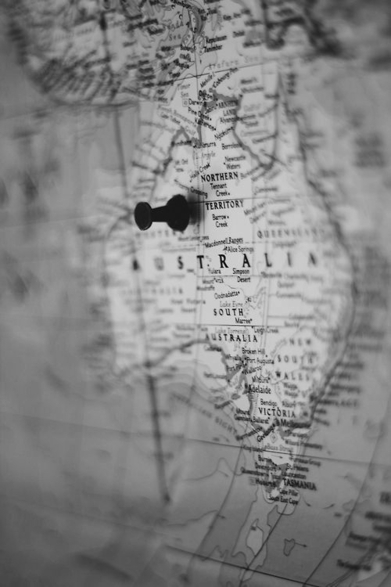 No matter how big or small your move is, PSS will provide you with the right support and information for moving your things over to Australia. Whether it may be just your toolbox, or a whole house full of furniture. PSS International Removals have been specialists in shipping international removals and excess baggage for over 31 years. Enquire with them today and speak with a highly skilled Removal consultant. Bupa provide high quality health insurance and have been doing so for over 60 years. They currently look after the needs for more than 3 million people in Australia and New Zealand. There a number of health insurance options to meet the needs of those going to Australia either on a working holiday visa, or if they’re staying permanently. Pension Transfers can transfer your UK pensions to an Australian Qualifying Recognised Overseas Pension Fund (QROPS). Tax free transfer of your funds out of the UK can only be achieved by transferring to a QROPS fund. With offices in the UK, Europe and Australia, Pensions Transfers ensure that you receive the best advice and service no matter where you are in the world. Fill out your Letter of Authority now and send it over via email or post (details on Letter of Authority form). For your international transfers, Moneycorp can give you the best rates and save you money when making international transfers. Moneycorp are an award-winning foreign exchange specialist with over 35 years’ experience. They can deliver expert guidance and reliable service to all our customers, whether transferring thousands overseas or simply taking a few hundred on holiday. Transfur is an international pet relocation company based in London. Their pet relocation experts have been relocating pets for over 10 years and provide you with the highest levels of service to ensure that your pet’s move is as easy and stress free as possible. They can arrange the flights, supply your pets with bedding, food and water and provide you with information on the pre departure veterinary requirements for Australia.